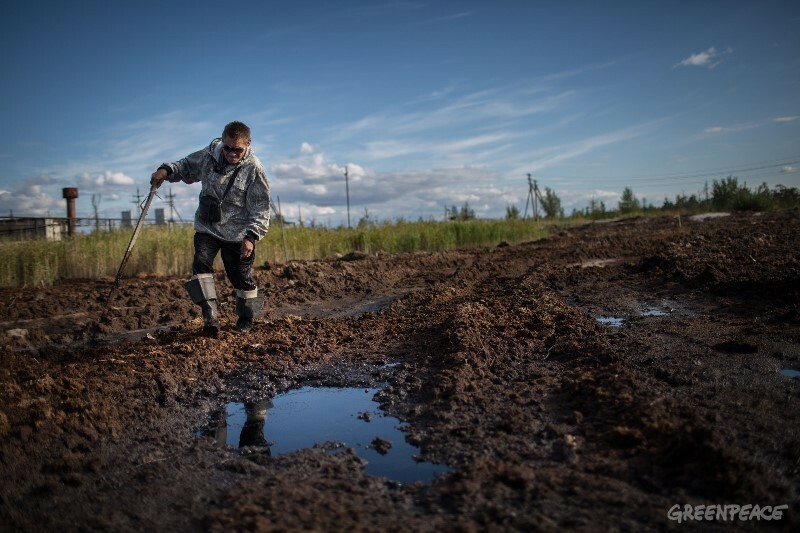 Sergey Kechimov shows the traces the oil companies left on Khanty land. Courtesy Denis Sinyakov/Greenpeace. 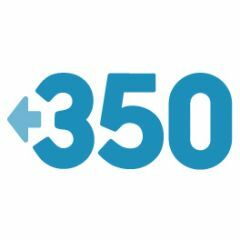 This is an edited version of an article written by Mikhail Matveev for 350.org, an organization building a global climate movement. It is republished on Global Voices as part of a content-sharing agreement. On August 17, a five-minute hearing was held in a provincial court of Surgut District in Russia's Siberia. The defendant, Sergey Kechimov, a reindeer herder from Yugra and one of the few Khanty indigenous people left, is accused of threatening to kill two workers of Surgutneftegaz – one of the largest Russian oil companies. Being sentenced may cost him up to two years in prison, under the Russian criminal code. During the hearing, lawyers told Judge Asharina that Kechimov was not provided with translators throughout the investigation. Despite admitting Kechimov’s rights had been violated, the judge decided to proceed with the case. The next hearings will take place on September 12. But this is a case that goes far beyond the accusations being levied. The Kechimov case could be framed as involving a petty crime and deemed unworthy of the public’s attention. According to the case, the conflict rose when Kechimov shot a dog owned by the oil company workers that had killed a reindeer in his herd and attacked him as well. Oil company workers claimed Kechimov also ordered them out of his ancestral lands and demanded compensation payment while waving his shotgun at them. Kechimov is one of the last Khanty people living near the Imlor Lake. For centuries, Khantys have deified and praised nature, believing that no person can take more gifts from her than those she is ready to share. When the oil companies arrived, the sacred Imlor Lake became an expendable source of hydrocarbons, spoiled by oil and mutilated by ugly constructions. Unsurprisingly, most of the Khanty people decided not to live side by side with the newcomers, leaving their ancestral lands behind for the oil workers to take over. Those like Kechimov and the others who dared to stay have became a constant nuisance for the oil companies. Government measures to protect the ancestral peoples’ rights are providing effective motivation for oil companies to swiftly get rid of such peoples. For the locals, the presence of oil companies resembles the days of military occupation – with block-posts, humiliating document checkings and personal searches by private security guards. So the Kechimov case is not just a conflict between individuals: it’s an expression of two incompatible approaches to the relation between people and nature colliding. A conflict now left for Judge Asharina, at the 2nd sub-district of the Surgut Court District, to resolve. Find a Change.org petition in support of Kechimov here.